SYCAMORE TOWNSHIP, Ohio – Their first date was a "Madame Butterfly " opera at Music Hall. Doug Rosfeld held Abbie's hand as they walked across the street during an evening in downtown Cincinnati on June 11, 2008. He told her she looked stunning. There was something different about this guy, she thought. He was genuine. Doug, a widower, and Abbie, who was divorced, had met just a few days earlier at the Fifth Third Bank on Montgomery Road. 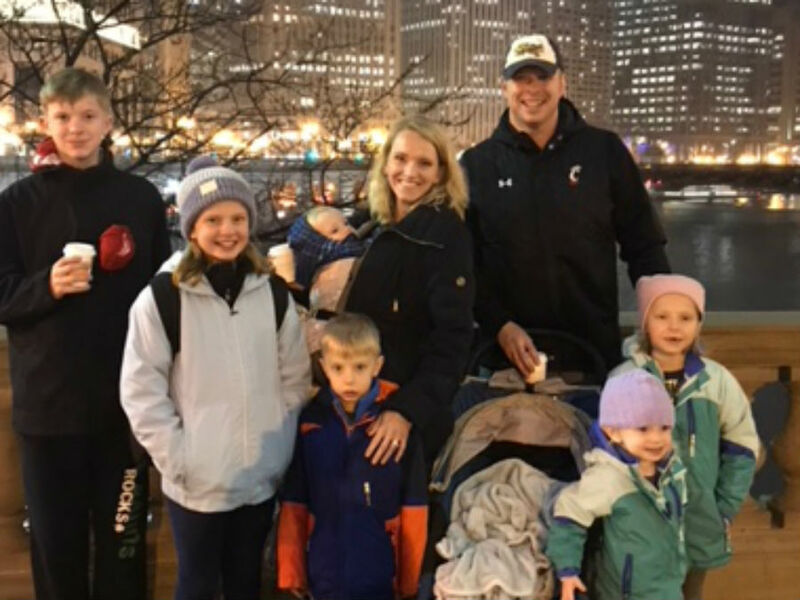 Rosfeld, named Moeller High School's sixth head football coach in December 2017 , was a single parent at the time. He was teaching at his alma mater while working as an assistant football coach with the Crusaders. Abbie, also a single parent, was an assistant branch manager. She was working in her office when Doug and his son, Will, who wore "Incredible Hulk" gloves he got for his birthday, stopped by to chat after a transaction with a teller. Abbie kept a photo of her daughter, Emma, at her desk. Will and Emma were about the same age, so Abbie enjoyed speaking with Will when he visited with his dad. Abbie assumed Doug was married because his late wife's name was on the account. Only later would she learn what Doug had experienced in the nearly four years since losing Stephanie. As Doug walked out of the bank with his son that late spring day, one of the tellers told Abbie that Doug was the guy she should marry. Abbie thought it was silly. She enjoyed the conversation with Doug but shrugged the suggestion off as a presumptuous notion. Abbie didn't even know he went by Doug, which is his middle name. "I'm not kidding you," Abbie said. "Within a half-hour the phone rings." Line 1 was for her. It was Doug. Rosfeld tried to play coy at first. He made an introduction and asked if Abbie remembered him at the bank. Then he went on to explain how he fell into some opera tickets for June 11. Doug wouldn't take "no" for an answer. She agreed. Doug and Abbie debated whether to stay until the end of the performance. But both enjoyed the opera enough to later see "The Marriage of Figaro." The second date was a group outing at a Reds game. Both had the same feelings about one another. The natural connection continued to be reinforced. "The first time I kissed him I thought, 'Oh my gosh, fireworks really do exist,'" Abbie said. "He's just awesome. He's my best friend." Six months later, Doug and Abbie got engaged at Fountain Square. They married in December 2009 at All Saints Church, next door to Moeller High School. The Moeller offensive line stood in position at the ceremony. This was just the start for the couple's strong connection to the school. "We were able to not just meet and fall in love with each other, (we were) able to build a family as Moeller people," Doug said. Jeff Rosfeld sat in the Rest Haven Memorial Park office in August 2004 and saw how much his eldest son's faith was shaken. Doug, the middle of three Rosfeld children, had just lost his beloved wife and college sweetheart Stephanie (Meinig) after 18 months of marriage . She died Aug. 10, 2004, after having cardiac arrest. Stephanie also left behind the couple's 10-week-old son, Will. The family was heartbroken. "The walk from the gravesite from the funeral was the longest 40-yard walk that we ever made." Stephanie, 25, was on maternity leave as a University of Cincinnati assistant women's volleyball coach. She was always around volleyball. Her father-in-law once described the former UC volleyball player as a 6-foot-1 beauty whose positive can-do attitude was bolstered by a great sense of faith. Ironically, Abbie had met Stephanie once during a UC volleyball camp held during Abbie's senior year at Ridgeville Christian School in Springboro. Just two days after Stephanie's death, then 24-year-old Doug was tasked with finding the right words for her marker. Without Stephanie, his life changed in an instant. "The walk from the gravesite from the funeral was the longest 40-yard walk that we ever made," Jeff said. Doug couldn't understand why God would take Stephanie. Instead, Jeff said Jesus didn't want her death to happen. His arms were outstretched for Stephanie's heavenly welcome. Eventually, Doug chose Scripture from the Gospel of Luke, Chapter 7, Verse 50: "Your faith has saved you; Go in peace." The former football standout had no choice but to persevere on a path to discover peace in the months and years ahead. Doug, a Western Hills High School teacher and Moeller offensive line coach at the time, moved in with his parents, Jeff and Julie, across the street from Moeller. Julie became the primary caregiver for Will. In short, Doug started from scratch. "He was sad, angry and frozen," Jeff remembered. But Doug also leaned on family, friends and those at Moeller High School for support. There was an outpouring of sympathy. Former Moeller coach Gerry Faust stood in Jeff and Julie's front yard with his arms around Doug a day after Stephanie died. Former Moeller football player and coach Bob Crable sat in the family's living room hugging Doug. Former UC football coaches Rick Minter and Mark Dantonio also reached out to the former standout center. Time and faith became healing elements for the entire family. "I was really trying to figure things out," Doug said. Eventually, Doug gained more traction to live more independently. By spring 2005, he and 1-year-old Will were living in a condominium in Montgomery. Doug also began to teach social studies at Moeller. Jim Elfers, who was previously Moeller's director of pastoral ministry, met Doug in 2007. He remembers Doug compared the grieving process to being in tall grass. "You are standing in the tall grass, and you have your hand up in the air reaching for somebody to come and grab it," Elfers said. "He described the community of faith as being that hand and specifically the community of faith of his family and of Moeller." He relied on the motto of "faith, family and football." Doug attended grief counseling sessions with other Moeller students. He talked about the grieving process in Kairos retreats. He had a very long conversation in the school courtyard until 3 a.m. one night with Moeller band director Paul Kindt. Longtime Moeller equipment manager Whitey Campbell helped wash Will's clothes. Athletic trainer Craig Lindsey allowed Doug to sleep on training tables during his prep bell. "He knew that my training room was always open if it meant he wanted to come in and just hang out before and after practice or if he just wanted a quiet place to rest during his prep period," Lindsey said. "Of course you never know what to say to someone who just lost their wife and best friend, but sometimes just serving as a sounding board helps with the process and allows someone to get through the day." Strength and conditioning coach Todd Naumann helped Doug lose a lot of weight. Moeller basketball coach Carl Kremer, the dean of students, helped craft his gift of teaching. Doug, a 1997 Moeller graduate, surrounded himself with people who didn't let him make bad decisions. "They have been fundamental in my life, my family's life and my development as a person," Doug said of the Moeller community. He also relied on the motto of "faith, family and football." The symbol of that is a tattoo of a cross and football on his right bicep he received early after his freshman football season at UC. "When I am at my best all three are cooking," Doug said. "When I am at my weakest I need at least one to help me back – to catch me." Doug and Abbie like to joke they enjoy "NPA" (normal people activities) like sitting on a couch to watch television, playing a board game or going to Kings Island with their children. With six children -- Will, 13; Emma, 12; Adele, 6; Patch, 4; Hope, 2; and Roman, 14 months -- living in their Cape Cod home behind Moeller's Gerry Faust Athletic Complex, there is never a dull moment. The family goes through 12 gallons of milk a week. They enjoy using the grocery delivery app Shipt. Getting the six children to all look toward the camera for a photo op is an interesting challenge. "I think we have tons of fun, tons of chaos," said Abbie, a co-owner of Kidz Watch . "I can't imagine it any other way. To think we have been blessed with six kids. When we met, we were thinking, 'This is it, I don't want any more kids.' We joke with our kids and tell them that story. I feel like our life is that reminder that God has bigger plans for us than anything we could've ever imagined." Doug and Abbie don't hide from their personal stories. They know it's not the conventional family path, but that's quite all right. The story is part of the family's DNA. Abbie likes to remind the family that love "always multiplies – it never divides." "So for us we've had hardships we look back on, and I get sad for Abbie when I hear some of her stories and she gets sad when she hears some of mine, but really we wouldn't change where we are," Doug said. Jeff Rosfeld is still asked how his son is doing nearly 14 years after Stephanie's death. Bob and Sandy Meinig, Stephanie's parents, remain close with Doug and Abbie. During one Christmas, the Rosfeld family visited with nine grandparents. The children understand that family is always there for them. For Jeff and Julie, seeing Doug and Abbie with their six children brings the family sheer joy. "To see how a family has not only blended but then expanded so dramatically, and to watch them interact and to watch the kids beautifully get along, gives my wife, Julie, and I just joy – which I think is a step above being happy," Jeff said. "It's one thing to say we're happy, but this is different." When Doug was named the Moeller head football coach in December, it was an answer to Doug and Abbie's prayers. Doug thoroughly enjoyed his three years as UC football's director of player development. But the family wondered where his career path would lead next. "We prayed, 'Grant me the grace to know the path you have planned for us and to respond with a generous yes,'" Abbie said. "That prayer spoke to our little family tons." In fact, when Rosfeld was introduced as Moeller's head football coach, UC Athletic Director Mike Bohn attended the introductory news conference. That spoke volumes to those in attendance about Rosfeld's character and magnetic personality. 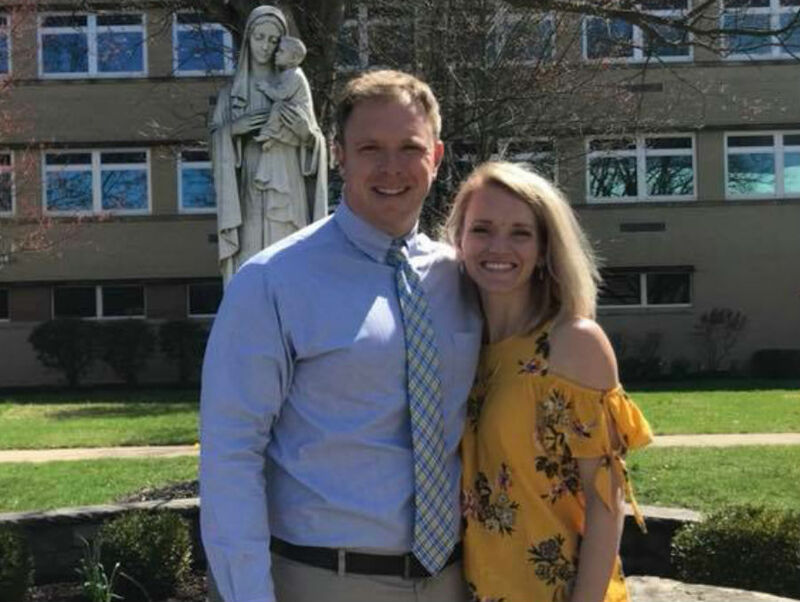 "One of the most memorable days in my 23 years at Moeller High School was seeing the amount of true joy on the faces of Doug, Abbie and their beautiful family the day of his press conference in our library," Lindsey said. 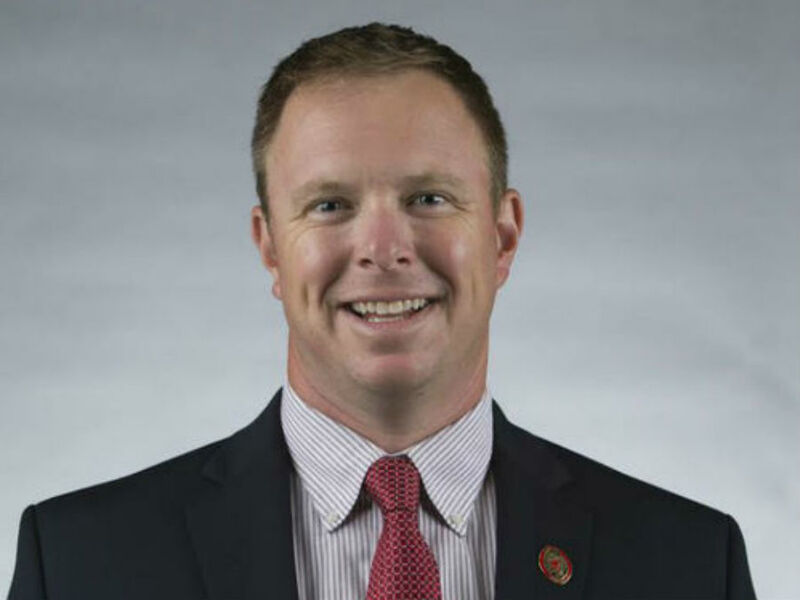 Rosfeld, a former Moeller rugby coach, said Moeller was the only high school in America he would consider working for as the head football coach. Connie Ring knows that to be true. Ring teaches mathematics and nonprofit management at Moeller. She also runs the nonprofit United for Uganda. Rosfeld previously joined Moeller students on that trip. "Doug has a dynamic personality and he listens well," Ring said. "The reason he can relate well with kids is because he hears them as opposed to glossing over them. I think a lot of adults just kind of gloss over kids and they feel like they are an authority and that kids don't necessarily have a voice or any opinion or a feeling. And Doug is not that guy. " Ring said she has heard from Moeller graduates explaining how Rosfeld was always able to connect with them in his class. "He is also absolutely hilarious," Ring said. "Kids just gravitate to him because he's got this hilarious sense of humor. He's also fast-paced. Kids' minds today move insanely fast. He's moving at a pace that the kids' minds move in this kind of hilarious and caring way." Rosfeld, 38, also said he has reminded himself he also needs to be the best husband and father in Ohio while aspiring to be the best high school coach in the state. That work-life balance is always significant for his family. And with the Crusaders' season opener less than four months away, the entire Rosfeld family can't wait for the next chapter on their journey while remembering they are a part of something bigger than themselves. "God has a plan, and we've all been given gifts," Abbie said. "And that Dad's or Doug's gift is a coach. He is doing God's work. I really feel like he is doing what his purpose is." Watch Kathrine Nero's companion piece at 5:30 p.m. to hear more from the Rosfeld and Moeller families.